How Being a "Third Wheel" is a Real Problem & How to Deal With it? That’s what I used to say to my friends who complained about being the third wheel in a friendship. Until one day, I was the victim. Even if you’re the hottest amongst all three, if you’re the third wheel, you feel like drowning yourself in your tears of embarrassment. If the sidewalk can contain only two people, you know you’re gonna have to be walking either in front of your friends, or behind them. And I cannot choose which is worse. Sometimes I look at the vehicles passing us by, searching for the right one to jump in front of. All that walking and awkwardly laughing at your friends when they look back hoping that you were following their conversation gets you hungry. You visit the nearest restaurant and because your friends are busy giggling to the latest joke (which you couldn’t hear, however close your ear was to their back. Thanks traffic), you will end up asking for a table. Congratulations on somehow planning to seat one of your friends with you, but due to some reason, failing. The seat next to you is laughing as you chew your fries. It is worse when you know only one of the two people you’re hanging out with. You don’t make your friend feel left out. Where your manners at, bro? The evening is almost over but it’s the journey back home which has left your face paralyzed by fake smiling all day. So you remove your phone out. You check the time (9:05 pm), your Instagram, Facebook, Twitter, Whatsapp, your gallery, recheck the time (still 9:05 pm), reread the conversation with your girlfriend/boyfriend and get a new topic to fight over (“Tune is din par yeh kyu kaha?”), and you recheck the time again (9:06 pm, ah, finally a minute has passed), all this without having network in your phone. Thanks to preloaded data. It was the one thing which kept me looking sane. There are a few advantages to being the third wheel. You get to hear the whole conversation without contributing to it. And as a listener, I’m glad this occurred. I hate when people say “talk something”. I like being quiet and enjoying the moment. Also you notice that a person is different with different people. You get to know the other side to a person. Ah, hell. No. There are absolutely no advantages to being a third wheel. Who wants to know the other side of your manner less friend? At least it’s better than being the fifth wheel. If you’ve ever encountered this situation, please let me know how you dealt with it. I need to be prepared for the next time it occurs. Don’t forget to share this “Them Feels” post with your network. 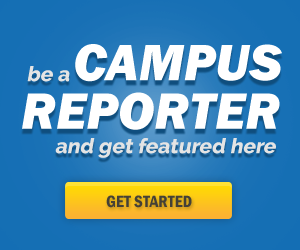 Join Campus Times Pune on Facebook, Google+ & Twitter. Also do subscribe our YouTube Channel. Click on Push Notifications to get notified whenever we publish a post. Shweta Mustare. A girl living in Pune, India, waiting for life to give the big break. Blogger, Thinker, sometimes funny, always a weirdo. Forget GoT, F.R.I.E.N.D.S Will Always Be The All-time Favorite TV Show & Here’s Why? 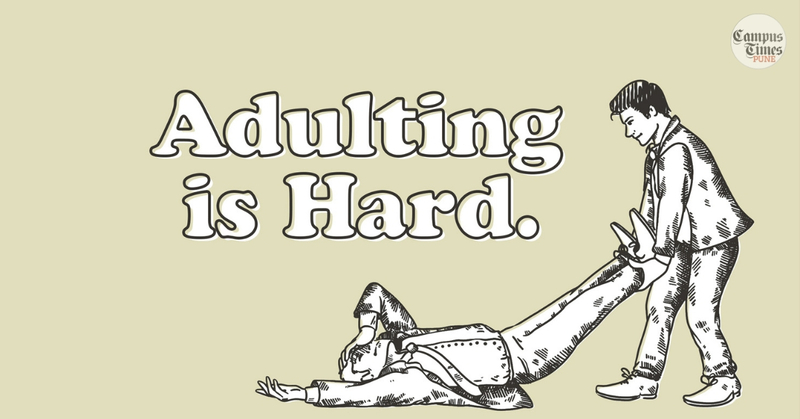 Since all memes are anyway humour-based-on-our-misery, here's a crash course based on memes that will teach you a lesson or two about adulting!